Why a Calorie Isn’t a Calorie. The Inconvenient Truth About Carbohydrates. February 22, 2012. Exercise Makes You Tired and Hungry. February 16, 2012. Not sure what to do now? February 15, 2012. Valentine’s Day! February 14, 2012. Periodization Principles for Strength. February 9, 2012. Wednesday Motivation. February 8, 2012. Natural Fat Burning Foods. February 7, 2012. The Superbowl Ruined My Body. February 6, 2012. The Fake Salad. February 2, 2012. We Like This. February 1, 2012. Inspiration Corner. January 18th, 2012. We Are Famous! December 20, 2011. Hide the Snacks! December 19, 2011. Quote Corner. December 13, 2011. Assess Your Fitness Level. November 29, 2011. Food For Thought. November 22, 2011. 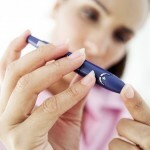 552 Million People Could Have Diabetes by 2030. November 18, 2011. Have You Seen Our Photos? November 8, 2011. How To Avoid Getting Sick During the Winter. November 2, 2011. All About Energy Balance. October 31, 2011.